Chandigarh 29th February:- Registering & Licensing Authority, U.T., Chandigarh has started process for affixing of High Security Registration Plates on vehicles already registered in UT, Chandigarh at three notified locations i.e. the offices of R&LA, Sector-17, SDM(S), Sector-42, SDM(E), Industrial Area, Phase-I, Chandigarh. The owners of the vehicle having registration number of "CH03-R" series shall apply for affixation of HSRP at their respective offices with the request on plain paper mentioning the detail of Chassis Number, Engine Number, Make, Model, copy of Registration Certificate of the vehicle, copy of valid insurance and copy of Identity Card of the owner within one month from the date of March 01st 2016. The original Registration Certificate (RC) is mandatory at the time of applying for the same. In case, if, the owners of the vehicle of above series do not affixed HSRP plates within the stipulated period on their vehicles, the Traffic Police, UT, Chandigarh will be asked to initiate the process for Challaning of their vehicle. Chandigarh 29th February:- A joint team of Food Safety Officers Bharat Kanojia & Surinder Pal Singh today inspected the Roller Flour Mills operating in the area of Chandigarh. All the Roller Flour Mills were inspected and three samples of Atta & Maida were taken for analysis & examination. The Food Business Operators were instructed to adhere to the norms of Food Safety & Standards Act, 2006 and Rules, 2011. Chandigarh 29th February:- Prof. Subhash Varma, Acting Director, PGI honored thirteen officers and officials on their superannuation today by presenting mementoes to them. Sushil Thakur, Financial Adviser handed over beneficiary cheques comprising GPF, gratuity and group insurance. Respective Heads of Departments wished them well in life by presenting bouquets to them. 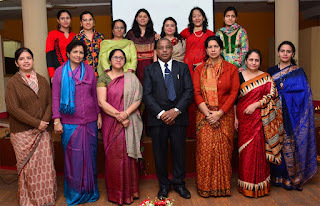 Chandigarh 29th February:- MCM DAV College for Women organized Faculty Development Programme (FDP) on Capacity Building and Skill Enhancement in Higher Education and experts discussed research methodology and inclusive education. An initiative under the aegis of Rashtreey Uchchtar Shiksha Abhiyaan (RUSA), the FDP aims to support the mission of RUSA to enhance the skills of the faculty in higher education. Prof. B.S. Ghuman of Department of Public Administration, Panjab University, spoke on "Research Methodology for Social Sciences" during session I. For session II,. J,S, Jayara, Principal, Institute for the Blind, Sector 26, Chandigarh enlightened the faculty on the topic of "Inclusive Education"
RUSA coordinator at MCM DAV College, Neena Sharma thanked RUSA for adding to the academic environment for upgradation of the skills required in the higher education. Principal of MCM DAV College, Dr. Nisha Bhargava said that transformative reforms in higher education system are necessitated by shifting paradigms, so as to give an impetus to quality in higher education. Chandigarh 29th February:- Rapid response is the key to saving lives that arrive in the emergency ward of a hospital in which the nurses, who are the front-line healthcare providers, play a significant role. A batch of nearly 50 nursing professionals and students learnt the fundamentals of identifying the vital signs of life in a trauma patient, from Johanne L. Hayesfrom Humber College of Canada, who conducted the workshop at Inscol Health Skills, here today. Consul General of Canadian High Commission in Chandigarh, Christopher Gibbins, went around the training facilities and especially north India's first hi-tech clinical simulation lab that Inscol has setup in the city, and commended Inscol for imparting practical training in a hospital's simulated environment so that health providers can prepare themselves for all the challenges. Daljit Singh Gujral, founder managing director of Inscol, said that Inscol, which is India's leading institute for skills development of nursing staff and health providers, organized the workshop as a part of initiatives to upgrade the skills of nursing fraternity and preparing the nursing students about the challenges of the profession. Daljit Singh Gujral further informed that this is one-of-its-kind facility north of Delhi, and in a simulated environment, each patient mannequin is so designed to stimulate varying health conditions, on which the nurses are trained. Johanne Hayes said that world over the emphasis is on training the bedside staff in early recognition of the problem and rapid treatment during this golden hour on arrival of the patient. Christopher Gibbins later gave away certificates to the nursing students on successful completion of the workshop. 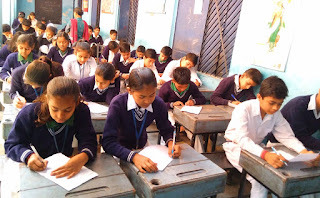 Chandigarh 29th February:- Maharishi Dayanand Public School organized an Essay Writing Competition on National Science Day in collaboration with Chandigarh Renewal Energy, Science and Technology Promotion Society (CREST), Chandigarh. A good number of students participated in the competition. Through this competition students expressed that Science has contributed a great deal to human welfare. It has enabled man to acquire intellectual excellence. It has broken barriers to bring peace and prosperity. 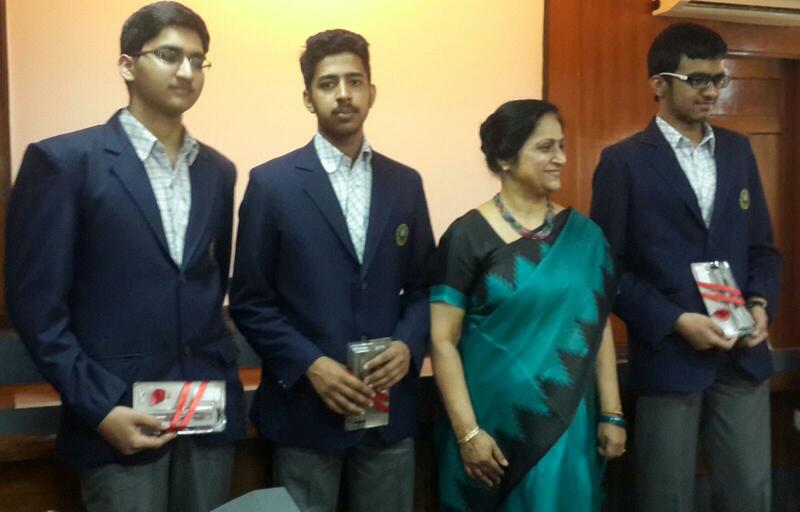 Balwinder, Hansraj and Mamta bagged first, second and third respectively. Activity Incharge Sukhwinder Singh told that the main aim of this competition was to spread the message of importance of science and its application among the students. Principal Dr. Vinod Kumar inspired the students to carry on such activities in future also. He gave away prizes to the winners. Chandigarh 29th February:- Shaheed Udham Singh Group of Institutions organized two day Techno Fest Panache 2016. As many as 26 teams from various colleges participated. Madan Mohan Mittal, Cabinet Minister Technical Education was the chief guest. The function was inaugurated by lightning the lamp by Madan Mohan Mittal, Er. Sukhwinder Singh Sidhu, Chairman SUSGOI, , Dr. J.S Dhaliwal, Vice Chairman SUSGOI, S. Gurlabh Singh Sidhu, General Secretary, SUSGOI along with Dr. S.K Bhattacharya , Director SUSGOI, Dr. Sukhjeet Kaur, Dean Student Welfare SUSGOI. 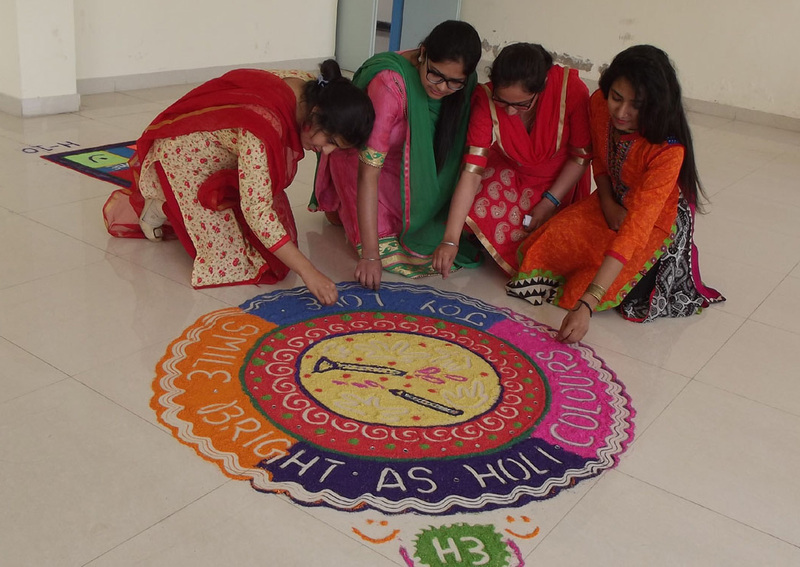 After lamp lightning students recited a Saraswati Vandana and presented various cultural programs like Singing, Western Dance, Bhangra & Gidha, and Solo Dance etc. 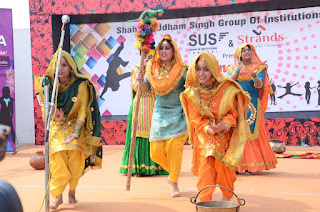 There was a lot of fun & excitement during the fest, students performed various games, modelling, singing and western & Punjabi dance performances and much more. Dr. S.K Bhattacharya while addressing welcomed the guests and conveyed his best wishes to the students and emphasized that they should work hard. Madan Mohan Mittal while addressing said that Drugs corrode the basic structure of a whole society, by affecting a cultured human society in all aspects including destabilizing families, reducing human productivity, corrupting trustworthy governments and honest police, and demoraling law respecting citizens. Drug Addiction can become an expensive affair to the family. So the youngsters must not indulge in these activities as Drug abuse has an immediate impact on the body and mind but it can also affect your future and your relationship with others. While speaking on the occasion Er. Sukhwinder S. Sidhu congratulated the students for their wonderful performances saying that the only way to make a mark in life is to work with commitment and dedication. He further urged the students to keep in mind the theme "Say No to Drugs" and must not indulge in illegal activities so that our nation may not ruin. "Campus life is buzzing with action, it is perhaps the most defining years for anyone young. Chandigarh 26th February:- Zee TV's top rated primetime drama Jamai Raja that never ceases to keep its viewers hooked with a gripping narrative, is all set to add an extra punch of entertainment with the spunky actor Tanaaz Irani joining the star cast. But there is an interesting twist to the tale…It is a rare scenario where an actress steps in as a replacement of her own 'real life' relative in the show. This unique situation of sorts happened with actor Tanaaz Irani, who will be essaying the role of 'Resham Chachi', a role that was earlier enacted by her real life sister-in-law Delnaaz Irani. The talented actor who has previously won hearts with her flawless portrayals in various shows over her decade long career is geared up to tickle your funny bone, donning an all-new avatar of the effervescent Resham Chachi. Talking about the casting coincidence and her entry in the show, Tanaaz said that it is an amazing coincidence that she is coming in place of her real life sister-in-law Delnaaz. We just had a good laugh about the whole thing. When she got to know about the casting the first thing she did was to call Delnaaz and she was very cool and happy about it and asked her to go ahead with the show. She could not continue due to the time constraints. We both slip easily in to the comedy genre but have a varied style of doing it. She has portrayed the character of Resham Chachi in her own inimitable way and now she will give it her own spin...that it is the challenge of being an actor you have to portray every character convincingly. Also, Jamai Raja enjoys a huge fan following across all age groups along with a fabulous star cast so she agreed to be a part of the show instantly. She added that the character in the show was shown to have returned to her village but now makes a surprise comeback with a bang. Resham Chachi is a funny, innocent character who suffers from a foot in the mouth syndrome which creates humorous situations around her. Her entry will add in a comical element to the show, entertaining the audiences to the core. On being asked if she has worked prior with any of the cast members, she mentioned that in the past she had worked with Ravi Dubey and he is a fabulous person to work with. She hope viewers love her as the new Resham chachi. Chandigarh 26th February:- Sarvesh Mehtani, Archit Nanda and Manthan Jindal, the proud Successful Bhavanites will get a chance to attend a training camp at the Homi Bhabha Centre for Science Education, which falls under the aegis of National Board of Higher Mathematics (NBHM).After this month long training at Mumbai, six top performers out of 35 would get a chance to represent India in International Mathematical Olympiad, later this year. The School Senior Principal, Dr. (Mrs.) Shashi Banerjee expressed elation on such a stupendous performance and excellent achievements of her Bhavanites. She, in turn, congratulated and appreciated the undaunting efforts put in by her staff and students which lead to this unique achievement of first ever three selections in INMO. However, she proudly mentioned that Bhavanites are imbibed with the unique quality to excel in all spheres. Bhavanite Shubham Goel, All India JEE 2014 sixth position holder also cleared the first two levels of INMO and went on to attend the training camp at Mumbai. The School Senior Principal Dr ( Mrs) Shashi Banerjee also declared a test window for students seeking admissions to 6th, 9th and 11 th Class respectively, best of brains can compete and can avail 100 percent fee waiver on admission fees too. Highlighting the long list of achievements that the school has to its credit, she reiterated the high levels of academic excellence, especially in the subject of Mathematics – the school holds the honor of being the topmost in the subject of Mathematics among all Bhavan Schools across India. The school also strives hard to strike a perfect balance between academic excellence and co-curricular activities – The school has a track record of being placed at No. 1 position in co –curricular activities amongst all Bhavan schools across India. Chandigarh 26th February:- A seven-day Faculty Development Programme on "Capacity building and skill enhancement in Higher Education" began at MCM DAV College for Women on Friday. Organized under the aegis of Rashtriya Uchchtar Shiksha Abhiyaan (RUSA), the programme seeks to further the mission of RUSA to enhance the skills of the faculty in higher education. On the inaugural day, Prof. R.K. Gupta, Dean, Faculty of Business and Service Management, PTU, Jalandhar and Professor, Department of Commerce, University School of Open Learning (USOL), dwelt upon the relevance of RUSA in promoting transformative reforms in higher education system. Neena Sharma, RUSA Coordinator, MCM DAV College, thanked RUSA for giving an impetus to quality in the field of higher education. Principal of MCM DAV College, Dr. Nisha Bhargava said that given the shifting paradigms in higher education, it is of paramount importance to ensure capacity building at all levels and to create a conducive atmosphere to promote research and innovation in higher educational institutions. 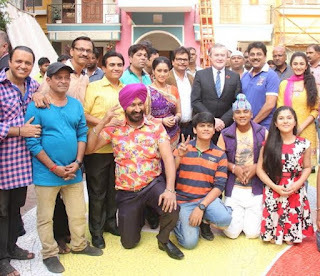 Chandigarh 26th February:- Polish Deputy Prime Minister and Minister of Culture and National Heritage, Piotr Glinski recently visited the sets of Taarak Mehta Ka Ooltah Chashmah. The politician was received with warmth by the show's creator and producer, Asit Kumarr Modi along with the cast and crew. The deputy prime minister is said to be fond of Indian culture, so it was not surprising to know that that he was keen on visiting the set one of the most popular and longest-running show. He congratulates the producer and the team for its remarkable consistency and wished them the best for years to come. Asit Kumarr Modi said that it was an honour to have the Polish Deputy Prime Minister on the set. He admired the community and Gokuldham society, and was happy to learn that the show has completed over 1800 episodes. His kind words left our team greatly encouraged. Chandigarh 26th February:- Post Graduate Department of Mathematics, SGGS College, Sec-26, Chandigarh, celebrated the national mathematics day sponsored by Punjab State Council for Science and Technology. The occasion begins with welcome address by Principal Kuldip Singh. 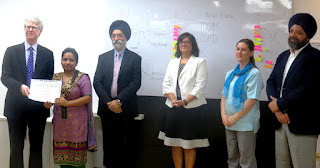 Dr.Vanita Verma, Professor in Mathematics, PU was the Chief Guest. She gave a lecture on "Capacitated Transportation Problem". Col.(Retd.) J.S.Bala, Secretary SES motivated the students for academic enrichment. Students from various colleges participated in different competitions organized on the occasion. Students participated in PowerPoint Presentation, Extempore and Poster Making. The valedictory function concluded with the prize distribution function and vote of thanks by Prof.H.S.Maan. 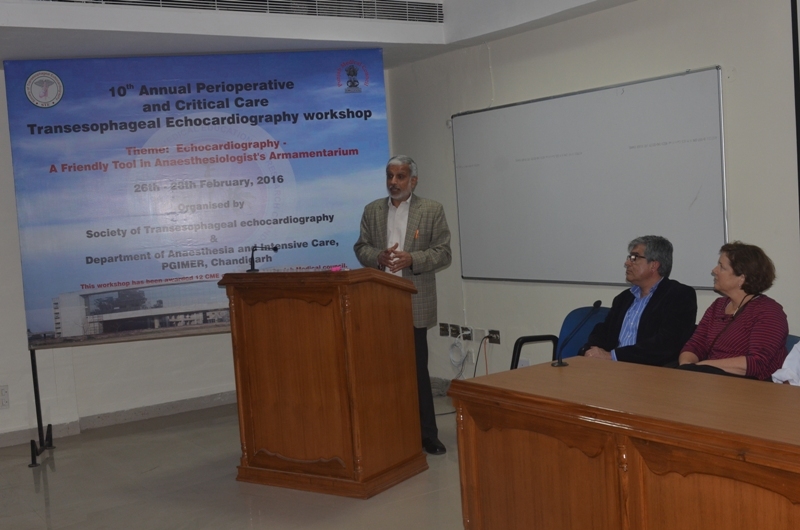 Chandigarh 26th February:- The Society of Transesophageal Echocardiography (STE) and the Department of Anesthesia and Intensive Care is organizing the 10th Annual Perioperative and Critical Care Echocardiography Workshop from 26th to 28th February 2016 at the Advanced Cardiac Centre (ACC), PGI, Chandigarh. The workshop / conference was inaugurated by Sh. Vijay Kumar Dev ( IAS, Advisor to the U.T. Administrator) with traditional lamp lighting and Saraswati Vandana. Prof. Yogesh Chawla, Director, PGI presided over the ceremony. Prof. G.D.Puri, Chairman ACC & President STE,welcomed the guests & delegates and gave overview of the workshop .The workshop is being attended by around 200 delegates from all over India and abroad. 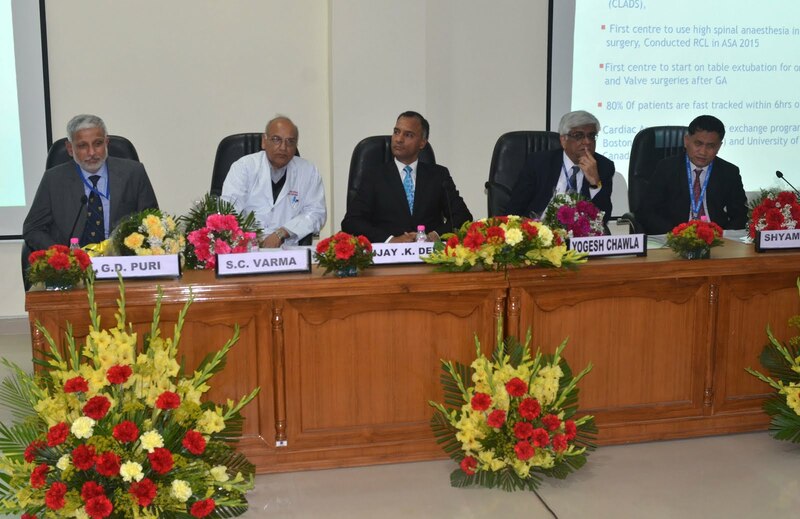 Prof. V.K.Arya presented the Annual Report of Advanced Cardiac Centre. The Advanced Cardiac Centre boasts of around 1600 cases a year , which include around 600 paediatric cases. It has 4 fully equipped, state of the art operation theatres and 16 bedded ICU facility. The inauguration ceremony concluded with vote of thanks by Dr. Neeti Dogra, Max, Mohali, the organising secretary. A porcine heart dissection was conducted where the delegates dissected the pig hearts for understanding the anatomy followed by Image plane workshop where each delegate was explained the anatomical correlates of each image plane. The first day included the sessions on basic echocardiography, live hands on streaming from the operation theatres enabling the candidates to grasp the finer details about the handling of the echo machine and acquiring good quality echo images, porcine heart dissection for better correlation of anatomy with transesophageal images, sessions on transthoracic echocardiography and role of echocardiography in the intensive care unit which were conducted by various eminent national and international faculties. These sessions were aimed at training the candidates about day to day uses of echocardiography in the clinical assessment and follow up of patients. The technical sessions were followed by first oration of the Society of Transesophageal Echocardiography which was delivered by Prof Usha Kiran, Head Deptt. Of Cardiac Anaesthesia, AIIMS, New Delhi. She deliberated on the topic "Ten years of training in TEE: Indian Scenario". The oration was presided over by Prof. K.K. Talwar, ex Director PGI and currently medical advisor to Govt of Punjab and Prof. Inder Anand , Prof of Cardiology, University of Minnesota. Chandigarh 26th February:- The Enforcement team of Municipal Corporation and Estate Office Chandigarh under the supervision of Dr Tapasya Raghav, Sub Divisional Magistrate (East), U.T, Chandigarh conducted anti-encroachment drive in Palika Bazar, Sadar Bazar near Dhobi Ghat, Sec-19, Chandigarh and have issued 45 challans against the encroachers. The team has also removed the encroachment of illegal temporary tin-shed and tripal shed in the area. 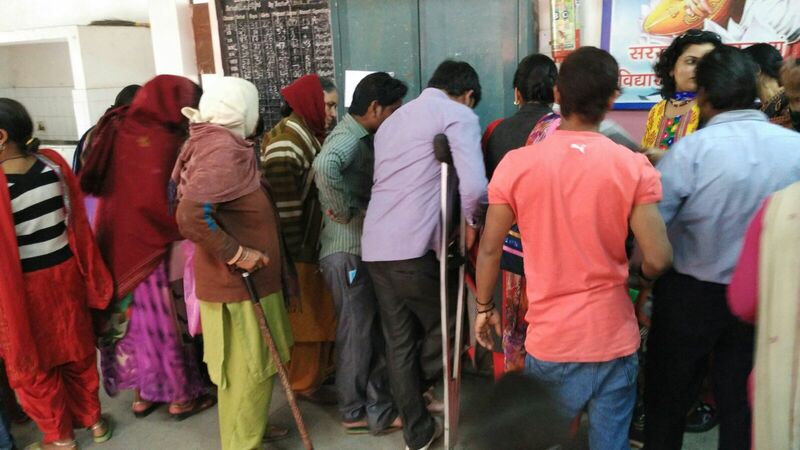 Chandigarh 26th February:- State Resource Centre in collaboration with Social Welfare Department organized a camp for preparing Disability Certificate today by in Govt. Model Senior Secondary School, Village Dhanas, Chandigarh. The camp received an overwhelming response as it recorded the highest number of beneficiaries ever attended in such camps being organized every month. This huge response was caused due to the survey conducted by Social Welfare Department in the month of February, 2016 at 10 villages through its Village Co-ordinators under Pooran Shakti Kendras for identifying the beneficiaries under its different schemes. The Social Welfare Department provided to and fro bus facility to the Persons with Disabilities who were identified as not having disability certificate during the said survey. In first phase Dadu Majra, Dhanas and Sector-25 were covered. The total disability certificates prepared in this camp were 62. The department also filled up 10 forms under disability pension and 2 forms under aids & appliances. The total numbers of beneficiaries registered in the camp were 208. 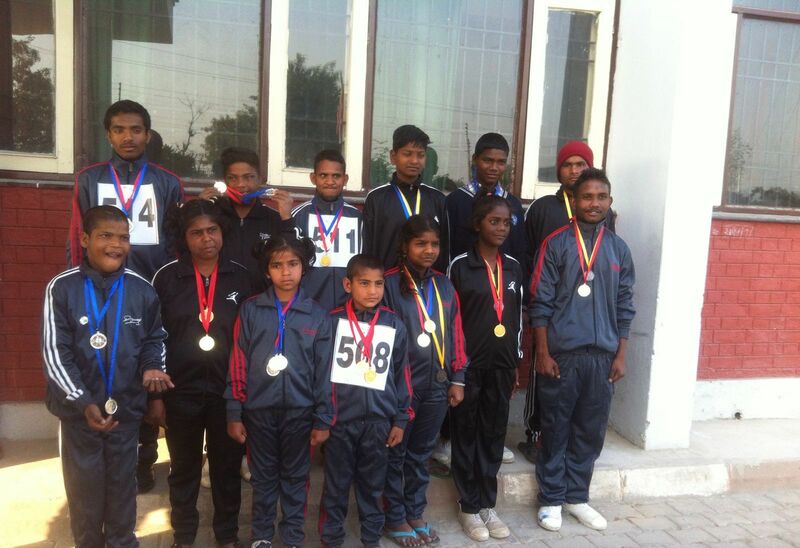 Chandigarh 26th February:- 13 special children from the Children Home Snehalaya won 12 gold, 15 silver and 3 bronze medals in their first time participation in the Annual Athletics Meet for Special Children, organized by the Special Olympics (Chandigarh Chapter) at the Sports Complex, sector-7, Chandigarh held on 19th & 20th February, 2016. Children Home, Snehalaya is being run by the Chandigarh Child and Women Development Corporation Ltd. Under the aegis of Department of Social Welfare and provides Institutional care and protection to almost approx. 300 children including special children. The children were felicitated with medals and Certificate of Appreciation by the Chief Guest, Anurag Agarwal, Home Secretary, U.T, Chandigarh. Chandigarh Administration Special Olympics Bharat is an NGO that organizes Olympic type sports for persons with intellectual disabilities and has been organizing the event for last many years. This was the first time ever participation of Children Home Snehalaya in the event and special efforts were made by the institution staff and official of the Department of Social Welfare, Chandigarh Administration for the support of children. A total of 13 children participated in the event and a record total 30 medals were won by the children with at least 6 children winning minimum 3 medals. Speaking on the occasion, Director Social Welfare, Nishu Singal, congratulated the children stating that the department is trying to focus on development of the capacity of special children through greater exposure and additional initiatives that helps in strengthening the overall personality of these children. Chandigarh 26th February:- India Live 2016 is the biggest conference in the field of Interventional cardiology, organized by Cardiovascular Educational Research Trust in India. This is attended by more than 1000 Interventional Cardiologists from India and rest of the world. This is the first time when Advanced Cardiac Center of PGIMER has been made a center for Live demonstration of latest techniques through satellite transmission directly from PGI Cath lab to India Live Conference, which further reinforces the importance of this esteemed institution in disseminating latest updates regarding science and technology. 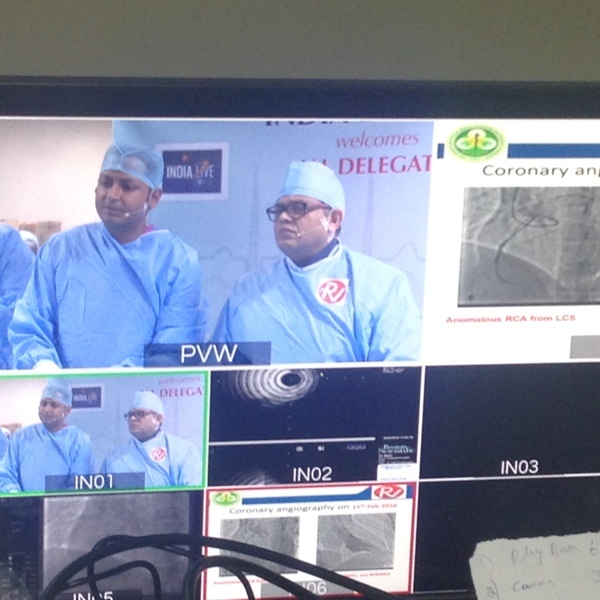 In this live transmission, Prof. Rajesh Vijayvergiya, successfully performed a complex coronary procedure, which was technically challenging. It was appreciated by all the eminent participants of the conference. This was a complex and rare case, where the coronary artery originates from unusual location in the heart. Only 1 out of 20,000 patients has this kind of arteries, which are very difficult to be accessed and treated. Prof. Vijayvergiya has more than 30,000 successful Interventional procedures to his credit. In past also, Prof. Vijayvergiya has been awarded by India Live and various other national and international scientific conferences across the globe in the field of intervention cardiology. 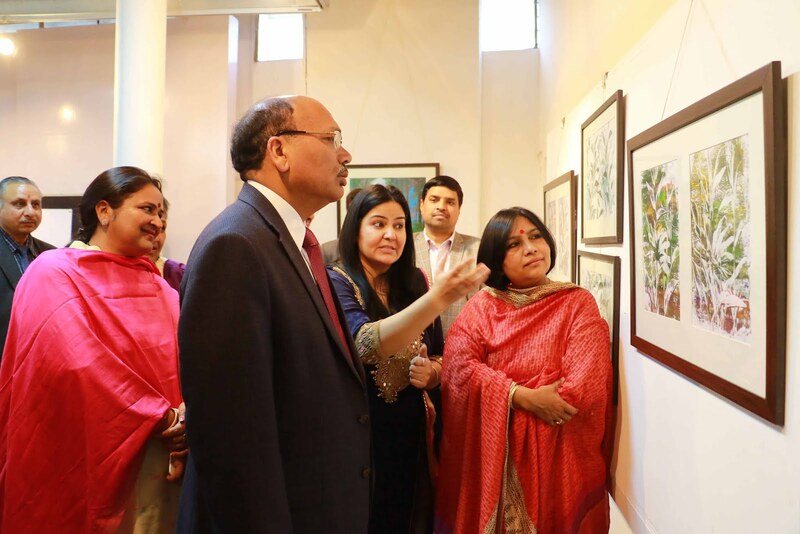 Chandigarh 26th February:- If you are in love with nature, you can't miss to walk into the three-day exhibition of paintings and collages which took off at Government Museum and Art Gallery, Sector 10 here today. This magnificent interpretation of picturesque landscapes comes out boldly in 'Nature Walk', a fascinating display of over 60 works of artist Anu Singh. Anu, who is a psychologist councillor by profession, and affiliated with American Psychology Association, has done exhibitions across the country and abroad. This is the fourth edition of her artwork in Chandigarh, which was today inaugurated by Justice Surya Kant, Judge, Punjab and Haryana High Court here. Anu has held exhibitions across the country in cities like Shimla, Delhi and Mumbai to name a few, besides abroad in cities like Luino, Varize, Italy and the Martha Jackson Gallery, New York. Anu said that she uses gouache, a medium where prints are created on canvas by using Fevicol as base for the colour. Most of the paintings have been made with cardboard or spatula as she wants the paintings to have a good texture. Nature is the source of inspiration for this 35 year old Chandigarh based artist. She added that beautiful encounters with the nature always fill my heart and art with joy, which gives me the motivation to mimic these vibrant colours on the palette and paper, while elaborating on nature, favourite theme of her works. She said that she experiments with not just the medium, but also subjects that interest her. She had had no formal training in artwork but it was her passion to paint, which she is carrying on and will continue to do so. It is also unwavering support from her family which persuades her imagination to create something new every time she play with colours.. It was eight years ago that Anu debuted as an artist and her journey with nature continues to take her places leaving an unforgettable imprint of her work among the art lovers. The exhibition is on till February 28, Sunday from 10 a.m. to 5 p.m.
Chandigarh 26th February:- Khalsa College (Amritsar) of Technology and Business Studies, Phase 3A today held an inter-college fest, Hunar 2016. A total of 15 colleges from the region participated in the fest. The chief guest on the occasion was Dr. Satish Verma, former Dean, Culture Welfare. 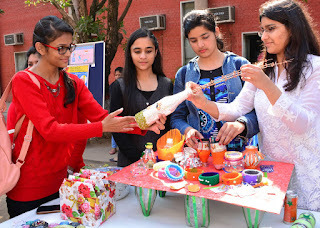 Among several competitions held today included Mehandi competition, Collage Making, Poster Making, Slogan writing, Mimicry, Turban Tying, Clay Modelling, Kite Flying and several technical activities, in which students participated with enthusiasm. The chief guest while speaking on the occasion lauded the efforts of the college in promoting such activities. College Principal Dr. Harish Kumar highlighted on the need to be tech savvy while speaking on the occasion. Among others present were Satyajit Singh Majithia, Fest Organising Secretary and Chief Patron, and Rajinder Singh Chhina, Patron. Chandigarh 25th February:- First time in the history of Punjabi films, comes a bilingual project that will be shot in Hindi as well as in Punjabi, at the same set, then and there. The film 'He Man' starring world's first pure vegetarian bodybuilder and actor Varinder Singh Ghuman, is being directed by actor Puneet Issar and produced by Abis Rizvi under the banner of ARF films. The film which is based on a father son relationship will see a worldwide release. The film He Man is already in news for many reasons! A first bilingual film, an extremely popular actor Puneet Issar who made Garv with Salman Khan directing the film, and also marks the return of yesteryears pretty actress Riitu Shivpuri of Ankhen fame, apart from marking the debut of Sonia Birje who is the daughter of actor Hemant Birje (Tarzan), and Bigg Boss fame actors Pritam Singh and Praneet Bhat. The film will also introduce gorgeous Divyetta Singh in a pivotal role. With so many USPs the film is sure to be a big game changer for the industry. The film which is currently being shot in Punjab and Chandigarh will be headed for Mumbai in its next shoot. According to Abis Rizvi who is known for his successful project Roar-Tigers of Sunderbans as we said He Man is a Bilingual film, the stars are shooting for the film simultaneously in Hindi and Punjabi both. This has been done retain the Punjabi and Hindi flavour alike. The film has songs written and sung by the best of Bollywood and Pollywood singers. Varinder Ghuman from Jalandhar who plays the leading actor in the film is excited about the script of the film. Firstly, it is a family drama, and based on a father son relationship. Every kid regards his father as a He Man, and how a father stands up to the expectations of the film is its major highlight. The film is expected to release in August or September this year. Chandigarh 25th February:- A Regional Workshop will be organized by National Commission for Minority Educational Institutions (NCMEI) on 26th February, 2016. The conference would be attended by delegations from various states like Punjab, Haryana, Himachal, Jammu & Kashmir and Chandigarh. The main agenda of the conference would be to discuss the problems that are faced by Minority Educational Institutions especially with regard to deprivation and violation of educational rights of minorities granted under Article 30 of the Constitution. The conference will be presided over by Prof. Kaptan Singh Solanki, Governor of Haryana, Punjab and Administrator U.T. Chandigarh. Chief Minister of Haryana, Manohar Lal Khattar will inaugurate the conference and Deputy Chief Minister of Punjab Sukhbir Singh Badal will deliver the keynote address. The Minority Ministers from Haryana, Punjab and Himachal Pradesh will also join the conference. The conference would also be attended by the Hon'ble members of the commission Zafar Agha, Dr. Baltej Singh Mann, Dr. (Mrs.) Naheed Abidi along with the Secretary and Deputy Secretary of the commission. Chandigarh 25th February:- The 2nd International Standing Conference of state parties comprising delegates of 6 countries who have joined hands in a Transnational Serial Nomination Dossier for UNESCO Heritage status for works of Le Corbusier was held today in City Beautiful at Hotel Mountview. The first conference was held in France in year 2015. The conference was chaired by Vijay Dev, Adviser to the Administrator, U.T and attended by Anurag Agarwal, Secretary Tourism, Kapil Setia, Chief Architect, Jitender Yadav, Director Tourism, U.T, Sumit Kaur, Ex-Chief Architect, Pradeep Bhagat, Principal, Chandigarh College of Architecture and other Senior Officers from Chandigarh Administration as well as faculty from Chandigarh College of Architecture. The foreign delegates from the participating countries included Olivier Poisson from the Ministry of Culture & Communication, France, Michel Richard, Director, Le Corbusier Foundation, Ms. Benedict Gandini, Le Corbusier Foundation, Piet Geylens from Belgium, Yohiyuki Yamana and Chihei Suzuki from Japan, Oliver Martin from Switzerland and Friedemann Gschwind from Germany. The conference began with a welcome address from the Secretary Tourism in which he highlighted the united efforts made by various departments of Chandigarh Administration in restoring the Capitol Complex to its former glory followed by opening remarks from Olivier Poisson who briefed about the chain of events including the status of dossier after transmission of the updated elements to ICOMOS, the World Heritage body. Michel Richard briefed about the chain of events which are likely to take place during the year and informed that France's Ambassador to UNESCO shall be inviting representatives of all participating countries in May this year for discussions before the meeting of the World Heritage body to be held from July 10-20, 2016 in Istanbul, Turkey during which the heritage status shall be decided. Other delegates from the participating countries also shared their views and experiences in making of dossier and agreed in principle to meet in France in May, 2016. Kapil Setia, Chief Architect made a brief presentation on the Management Plan of the Capitol Complex which is India's entry as part of Transnational Serial Dossier in which he highlighted the various efforts made by Chandigarh Administration in conservation and restoration of Capitol Complex. In the end, the valedictory address was given by the Adviser to the Administrator who highlighted the special bonding between the participating nations by way of sharing the common legacy of Le Corbusier and emphasized the need to learn from the experiences of each otherr egarding maintenance of the timeless architecture of Le Corbusier. Chandigarh 25th February:- ALLEN Career Institute launched first of its kind Android application 'TestMyPrep', an android application for the online test practice preparation of JEE Main, JEE Advanced, AIPMT, AIIMS, BITSAT, CBSE Class VI to X, NTSE and Various International, National Olympiads. According to the Centre Head Pushkar Rai the app is available for download in Google Play Store. The application is backed by content from ALLEN's OnlineTestSeries.in. In order to facilitate the students with the latest methodology of testing and evaluation in competitive examination segment in India and abroad, ALLEN has launched this application. 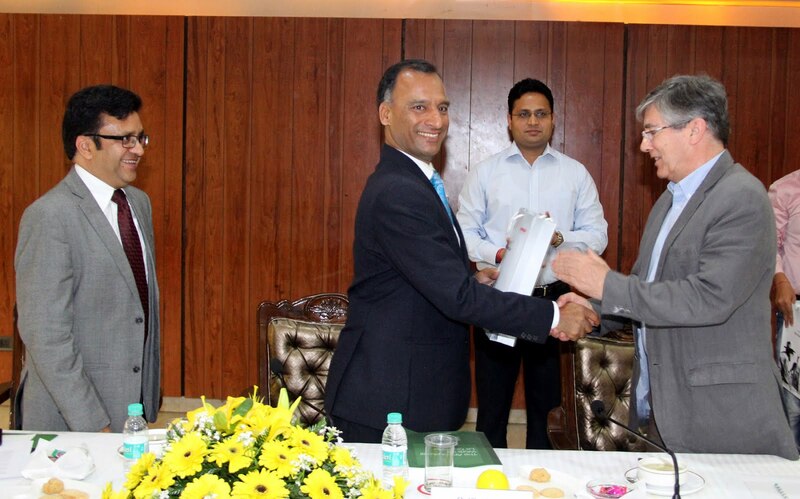 Pushkar Rai said that Allen has already made its name on the world map as the Mecca of JEE & Medical Coaching. And now with the launch of ALLEN's TestMyPrep Android Application, the students' community will be connected on the best assessment engine. He added that ALLEN's 27 years of glorious experience in coaching, ensures that the questions provided on this platform are perfect in quantity and quality which is required to excel in entrance exams as it covers the full syllabus of the exams and improves fundamental understanding of the student of his course and concepts. Pushkar Rai said that AIIMS, JEE Main & BITSAT exams are already being conducted online by their respective conducting bodies and our onlinetestseries.in is providing the same testing simulation to the students for preparation. He further shared that this app allows the student to practice more efficiently on account of anytime anywhere practicing & self-assessment with instant feedback reports with graphical analysis, with which student can start working on his/her weak areas instantly right away on any android device with the version above than 4.0.3 With the mantra 'No Preparation is complete without assessment. 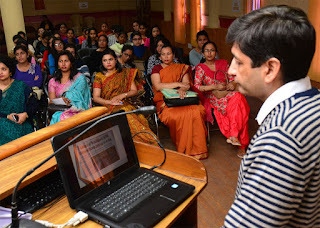 Chandigarh 25th February:- A Rashtriya Uchchatar Shiksha Abhiyan ( RUSA ) sponsored two-days workshop on Cyber Security and Information Management began today at MCM DAV College For Women. The Department of Computer Science and Applications organized the workshop with the vision to impart conceptual and practical hands-on training on cyber security strategies. Arun Soni, MD, TCCS, Er. Sahil Bhagla, CEO, EH1 Infotech and Manjot Kaur, a researcher conducted the workshop on the first day with focus on creating awareness about significance of IP address, Router vulnerability, Social Engineering hacking attack and protection, Facebook vulnerability and protection, and Phishing. This was followed by a practical session in which the participants were required to put to practice the various cyber security strategies demonstrated during the workshop. RUSA coordinator at MCM Neena Sharma said that cyber security is a very topical issue and there is a need to sensitize people to save from cyber crimes. Indu Arora, Head, Department of Computer Science and Applications thanked RUSA for providing the department a platform to spread awareness about the rampant menace of cyber crimes like hacking and online frauds. Commending this initiative, MCM Principal Dr.Nisha Bhargava said that given the pervasiveness of informational technology in every aspect of our lives, it is important to equip ourselves with the knowledge about managing crucial information and safeguarding it from theft or unauthorized access. Chandigarh 25th February:- After a long gap of 16 years,veteran actors Guggu Gill and Yograj Singh working together once again for upcoming Punjabi movie '25 KILLE'. This super partnership of these two great actors is surely going to send fans worldwide rushing to the cinemas. Running Horses Films and Color 9 Productions' inspiring new Punjabi movie '25 KILLE' today launched its first look poster for moviegoers to share. '25 Kille' is a home-grown Punjabi movie about four Jatt brothers and their love and unity against the odds of mystery. The movie also has its great share of comedy & pure Punjabi action! The movie not only touches the real essence of Punjab but land owners will relate to its great story line. Indian film actor Ranjha Vikram Singh who is popularly known as Loco vicky to his fans plays the lead in the film. He said that after the success in last Bollywood hit 'Heropanti' and South Indian films such as 'Rana Vikrama', 'Rebel' and 'Manadhil Maayam Seidhai (MMS)', he was eagerly waiting to debut in Punjabi film industry. He is super excited and proud to do this film in his mother tongue Punjabi. Punjabi actress and model Sonia Mann, a rising star in both the South & Punjabi film industry plays the lead actress. The cast is also made up of great inspiring main actors like Lakhwinder Lakha, Jimmy Sharma, Hobby Dhaliwal, Prince KJ Singh, Baljeet Sidhu, Sardar Sohi, Daljinder Basran, Sandeep Kaur Sandy, Rajneet Kaur, Sandeep Malhi and Sapna Bassi. '25 Kille' movie's release date is 25th August 2016. It has been produced by Amanpreet Singh Sodhi, Vikram Singh and Shirin Morani Singh. The story has been written and directed by Simranjit Singh Hundal and music has been composed by Jaidev Kumar. Chandigarh 25th February:- In order to accelerate the momentum of Financial Literacy work through 251 Financial Literacy Centres of all banks imparting Financial Literacy amongst un-Banked, Rural poor living in far flung areas & Urban poor & un-Banked masses in the State of Haryana, Punjab & UT Chandigarh, Gauri Shankar, Executive Director, PNB flagged off the Road Show at PNB House, Bank Square, Sector 17-B, Chandigarh. The Road Show was participated P.C. Choudhri, CGM, NABARD, Dr. Rakesh Gupta, General Manager, PNB, Head Office, New Delhi, Rajesh Jindal, Field General Manager, PNB, Chandigarh & Convener, SLBC, Haryana, Ashok Gupta, Field General Manager, PNB, Punjab, the Counsellors & Lead District Managers. After flagging off the Road Show, the Financial Literacy vans participated in the Road Show moved to various destinations in the State of Haryana, Punjab & UT Chandigarh for imparting Financial Literacy Mission. While flagging off the march, Gauri Shankar exhorted the field functionaries for taking the banking services to the roots of the rural India of 63 Lead Districts of the Bank in particular and other populace in general to bring the untouched masses into banking fold for their overall socio-economic awakening and development. The Bank has evinced keen interest in spreading nation-wide massive awareness among the rural, semi-urban and urban populace for which a special project of organizing a large number of awareness camps shall be implemented with the support of National Bank for Agriculture and Rural Development. The flagging off function has been participated by the Top Management Team & staff of the Bank and NABARD Representatives, school children and other citizens. A Nookad Show was organized on the occasion. Gauri Shankar said that Financial Literacy Programme has an important role to play in Financial Inclusion & Financial empowerment of people by creating awareness about the services & facilities being extended by banks. FLC helps in inculcating the saving habits in urban & rural poor and connect them with the banking system for inclusive growth of the society. Gauri Shankar informed that 251 FLCs are operating in the State of Haryana, Punjab & UT Chandigarh (108 in Haryana, 142 in Punjab & 1 in UT Chandigarh). SLBC Secretariat, Haryana, Punjab & UT Chandigarh have mapped all 1120 skilling centres i.e. Govt. & Private ITIs, Vocation Training Centres, Operational Centres etc. with 251 FLCs for imparting awareness for MUDRA Loans. So far, 251 FLCs have conducted 593 sessions in these skilling centres participated by 36016 students. SLBC Haryana, Punjab & UT Chandigarh have also mapped 208 schools with various FLCs in these States and so far, 16079 students have been provided Financial Literacy by these FLCs. Across the country, PNB in association with NABARD will organize 948 camps in 12 states comprising team of 107 Financial Literacy Counselors and 63 Chief Lead District Managers and will touch 10 lakh people. The first such Road Show was flagged off on 26th January, 2016 from New Delhi by Ms. Usha Ananthasubramanian, Managing Director & CEO, Punjab National Bank. Similarly, such Road Show was also flagged off in Pillayarpatti in Sivaganga, Tamil Nadu on 5th Februrary, 2016. Chandigarh 25th February:- The Society of Transesophageal Echocardiography and the Department of Anesthesia and Intensive Care are organizing the 10th Annual Perioperative and Critical Care Echocardiography Workshop from 26th to 28th February 2016 at the Advanced Cardiac Centre (ACC), PGIMER, Chandigarh. The workshop aims to train anesthesiologists in the use of trans-esophageal echocardiography (TEE) to assess the function of the heart and detect abnormalities of the heart. The workshop is being conducted by Prof. GD Puri (PGIMER) as the Course Director and the Organising Chairperson, Prof. Ishwar Bhukal (PGIMER) as the Treasurer and Dr. Neeti Dogra (Max Hospital, Mohali) as the Organizing Secretary. 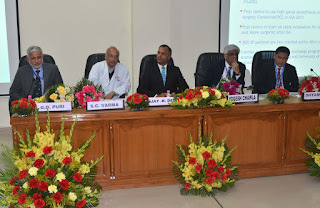 The conference will be attended by reputed anesthesiologists, cardiologists and cardiac surgeons from leading Indian institutes, who are highly experienced in the use of TEE. The international faculty presenting at the workshop include Dr. Hector Villaraga (Mayo Clinic, USA ), Dr. Andreas Fiehn[kp1] ( University of Kassel, Germany ), Dr. Theresa Tacy (Stanford University, USA ), Dr. Swapnil Khoche (University of California at San Diego, USA) and Dr. Genevieve Lalonde[kp2] (University of Mannitoba, Canada) . Around 200 delegates from all over the country and abroad are expected to participate in the workshop. The highlights of the workshop are hands-on demonstration of TEE in patients undergoing cardiac surgery from the operation theatre, dissection of pig heart and correlation of the anatomy of the heart with the various echocardiographic views, discussion of selected problem cases, a session on transthoracic echocardiography and a presentation of research from young trainees attending the workshop. Prof Usha Kiran, Head of the Department of Cardiac Anaesthesia , AIIMS, New Delhi will deliver the oration "Ten years of Training in TEE – the Indian scenario". The conference will be followed by a satellite symposium on ultrasound guided nerve blocks on 28th Feb 2016, led by international faculty including Prof Nav Prakash Sandhu (University of California San Diego, USA), Prof David Hardman (University of North Carolina, USA) and Prof Steve Chang (University of California at San Diego, USA). TEE is performed with the probe of the device placed in the food pipe, and is used to guide the surgeon and the cardiologist before, during and after cardiac surgery. It can give information about adequacy of surgical repair, detect any additional abnormalities, detect and measure the damage to the heart muscle in patients with coronary artery disease, and help in monitoring for clots in the heart. In the last two decades TEE has evolved from being a technique of luxury, to a modality of necessity in the cardiac operation theatre. Cardiac surgery is a very dynamic period wherein the patients' status rapidly changes. TEE provides a unique vantage point to visualize the heart's structure and function and allow closer monitoring. It allows assessment of the impact of the surgery before leaving the operating room, thus giving an opportunity to revise any repairs, and predicting/preventing post operative complications or need for another surgery. In the case of children, it also allows a complete assessment under anesthesia, which may not have been possible with a routine heart ultrasound while the child was awake and anxious. 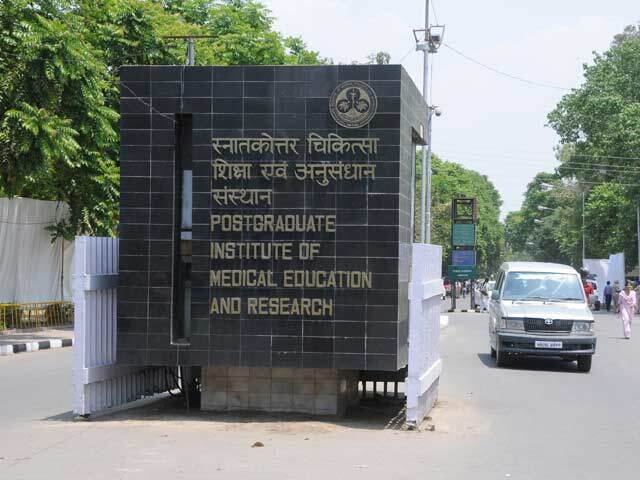 The workshop is being organized at the Advanced Cardiac Center (ACC) at the PGIMER. The ACC is a state of the art 210-bed cardiac care facility, which was formally inaugurated on 3rd Nov 2009. The centre has three interventional catheterization labs, four operating rooms and one emergency operating room. It has a 24-bed cardiac step-down care unit and a 24-bed cardiac surgical intensive care unit, with separate cubicle for paediatric patients. It is also fully air conditioned including outpatient as well as indoor wards. On an average, 1500 cardiac surgical cases and approximately 7000 interventional cath procedures are performed every year at the ACC. It has also performed two successful heart transplant surgeries. In addition the ACC has cardiac MRI, nuclear scan and four state of the art echocardiography lab facilities. Children heart link a NGO is helping the development of pediatric cardiac program at PGI by sponsoring and supporting the training program of nursing as well as technical staff. Last but not the least, the doctors, nurses, paramedics here are dedicated and hardworking staff with a mission for excellence. Gandhi ji said that the best way to find you is to lose yourself in the service of others, and this is what the ACC staffs firmly believes and follow. Chandigarh 25th February:- As part of its efforts to raise awareness on Malaysia as a destination of choice, Tourism Malaysia has embarked on a Sales Mission to India and Sri Lanka from 25 February to 3 March. The 9-day sales mission covers the Indian cities of Chandigarh, Lucknow, Bengaluru, Kochi, and Colombo in Sri Lanka. Leading the Malaysian delegation is Dato' Daljit Singh, who is the Indian Community Relations Advisor to the Minister of Tourism & Culture Malaysia and a member of Tourism Malaysia Board of Directors. He is accompanied by senior officials from the Tourism board. The delegation also comprises 57 representatives from 16 travel agents and tour operators, 10 hotels and resorts, six tourism products and attractions, two state tourism authorities, and four airlines. Some of the notable delegates include Genting Malaysia Bhd, Legoland Malaysia Resort, Sunway Lagoon, Tourism Johor, Tourism Selangor, Malaysia Airlines, Malindo Air, and AirAsia. While interacting with media Dato' Daljit Singh said that the sales mission serves as an excellent platform to engage with the local media and update them on the latest tourism developments and products, as well as to network with the local tour operators, product owners, and airlines. It is expected to increase tourist arrivals and receipts from the South Asian market during the peak travelling season from May to July. He added that during the sales mission, Tourism Selangor will be promoting the 'Discover Selangor' campaign, which is a continuation of 'Visit Selangor Year 2015'. They will be highlighting some of the best attractions and experiences Selangor has to offer. Giving more detail about the Tourism Malaysia Dato' Daljit Singh said that during the Sales Mission, Tourism Malaysia will also organise a travel mart for the travel trade players to meet and network. This is a platform to showcase Malaysia's diverse tourism offerings and highlight the scope for collaboration between travel agents in Malaysia and India. He added that the South Asian market is important to Malaysia, contributing 1.3 million tourists in 2014. India remained its top 10 arrivals in the same year, ranking sixth with a total of 770,108 tourists, while Sri Lanka recorded 61,670 tourists. In 2015, Malaysia welcomed 722,141 Indians and 51,337 Sri Lankans to the country. Malaysia's tourism sector continued to be a significant contributor to the country's economy in 2015. Global tourist arrivals were at 25. 7 million with receipts up to RM 69.1 billion. Chandigarh 24th February:- If you thought style, poise and stilettos are only for women, then our B-Town hunks are no less in keeping pace with fashion trends. Arjun Kapoor recently walked down the Red Carpet of Lux Zee Cine Awards 2016 in red high heels raising eyebrows all around. The actor who was there to promote his upcoming film Ki & Ka looked at utmost ease as he walked and posed for the shutterbugs in heels. Also, Yo Yo Honey Singh is back and how! His latest chartbuster 'High Heels' from Ki & Ka is another entertaining number from the sensation. Catch Yo Yo Honey Singh singing at the award show and heightening the entertainment quotient to the already star studded night. Not only that, Arjun Kapoor went on to give possibly the most special performance of his life on the stage of Zee Cine Awards where his stylish dance moves wearing red stilettos took the audience by surprise. And when speaking of quirky fashions, how can Baba's better half be far behind. 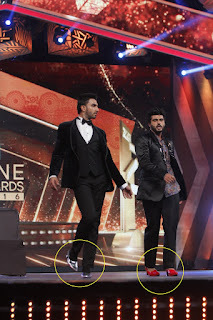 Ranveer Singh who literally was the man of the night at Lux Zee Cine Awards joined his buddy Arjun Kapoor in silver stilettos and both brought the stage down with their high energy act. Yo Yo Honey Singh singing, Arjun dancing in red stilettos and Ranveer with his quirky moves! Do we need to say more. Chandigarh 24th February:- The power supply to Ind Area Phase-9, and nearby areas shall be effected partially, due to urgent maintenance work of 11 KV Ind.-1, Ind-2,Globus Project, Water works Feeder running from 66 KV Phase-9 S/S , from 11-00 hrs. to 05-00 hrs. on dated Friday 26th February. 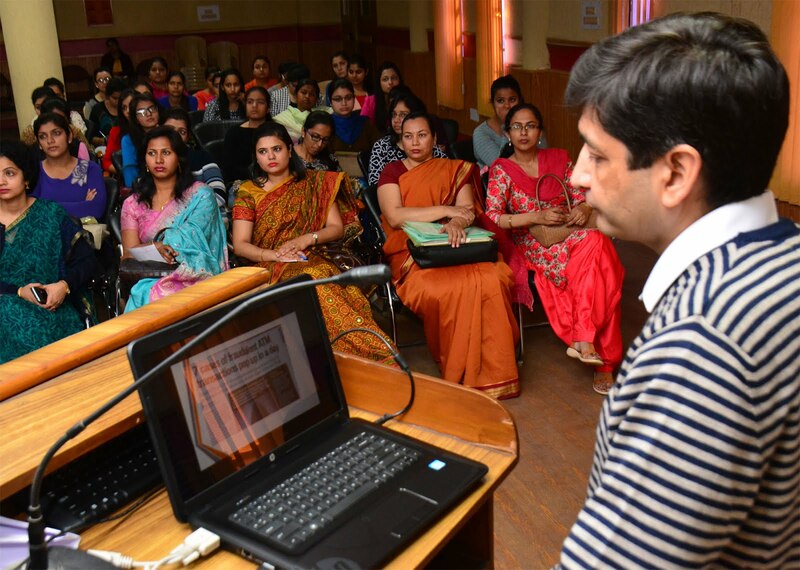 Chandigarh 24th February:- MCM DAV College for Women organised Ministry of Science and Technology's Department of Biotechnology (DBT) sponsored Science Fest 2016 with the motto of 'Celebrating Science in Life'. 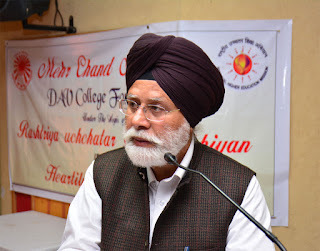 The Chief Guest on the occasion Prof. K. N. Pathak, Former VC, Panjab University inaugurated the fest and congratulated the college for being a progressive institution that nurtures students with the right combination of theoretical and practical knowledge through vibrant platforms like this fest. Dr. J. K. Arora, Director, Department of Biotechnology, Punjab State Council for Science and Technology delivered the keynote address in which she spoke about the importance of science in making our lives better and easier. Dr. J. K. Goswami, Head, Department of Applied Sciences, UIET was also present on the occasion. Various colleges of the tricity participated in the fest, which included a host of innovative events on the theme of 'Science for Society'. In the event National Young Scientist Conference, participants made presentations and posters while for the Science Exhibition, participants displayed scientific models and things made from waste. Science through your Camera and Science Photo Shoot were novel events in which students captured the importance of science in our daily life through their lens. Sci-Toons competition and Enterprising Food Product Innovation gave the participants an opportunity to exhibit their versatility by moving beyond the laboratories and actively participating in such interdisciplinary competitions. Collage and poster making competition on highly relevant topics like biodiversity, climate change, etc. also witnessed enthusiastic response. Dr. S. S. Marwaha, CEO, Punjab Biotechnology Incubators, Mohali gave away prizes to the winners of the day. The principal of the college, Dr Nisha Bhargava acknowledged the support of DBT for being instrumental in encouraging the various Science Departments of the college to work towards attainment of their full potential which ultimately leads to excellence- the hallmark of MCM. Stressing upon the significance of such events, Dr. Bhargava said that such platforms help to take learning beyond classrooms.